First off, you’re going to need a blonde best friend, because everyone knows it’s good to have balance in your life. Once you’ve got that covered, we can safely move forward! Being a brunette is fun and exciting and lets be honest, it’s a great color! Every brunette should own a light colored hat to contrast your hair color. It will not only make the hat pop but your hair as well! Gold dangly earrings also look amazing hanging in front of your dark backdrop. The gold gleam will compliment those dark locks and make them stand out. 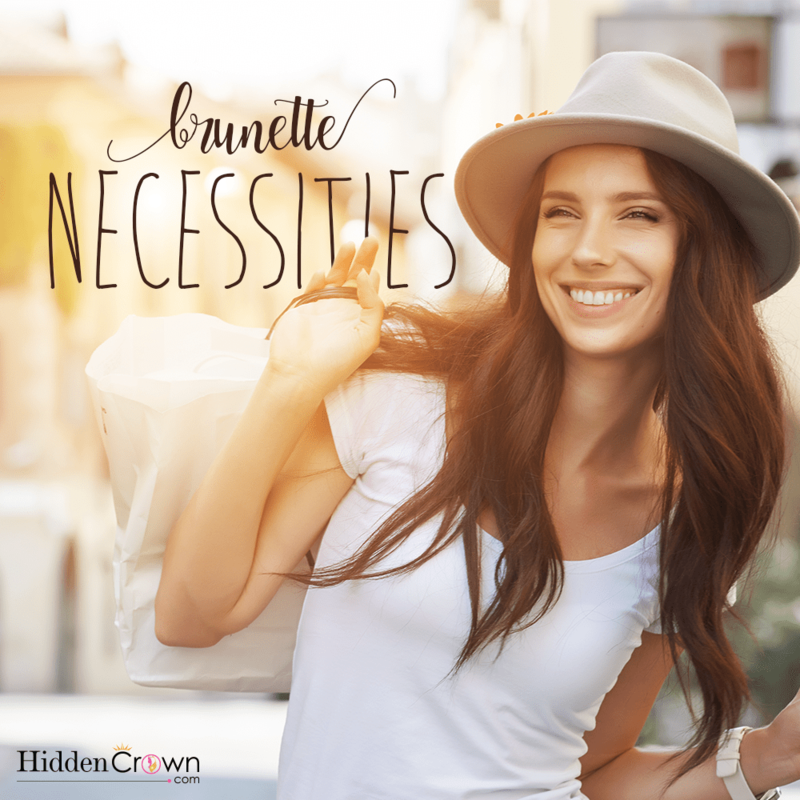 It’s also fun to add different highlights to your hair, because every color on the spectrum can blend well with your brunette head of hair. If you don’t want to damage your locks by dyeing it, go the east route and get different color extensions! Then you can choose what color highlights you want on what days of the week. Not only will you get beautiful highlights with this method, but it will also add volume and length!